06/22/2007: "t.A.T.u. to headline the Planet of Music Festival in Kazakhstan"
t.A.T.u. 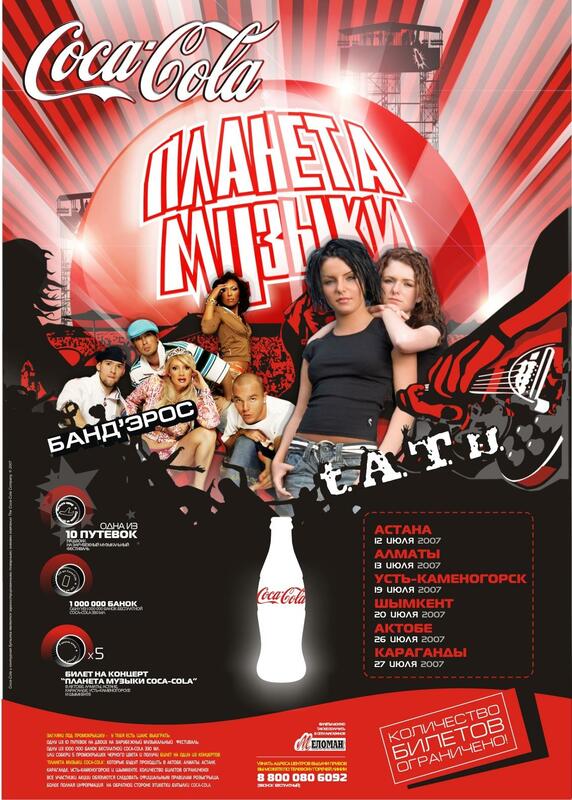 are the headliners of the Planet of Music Festival in Kazakhstan organized by The Coca-Cola Company.